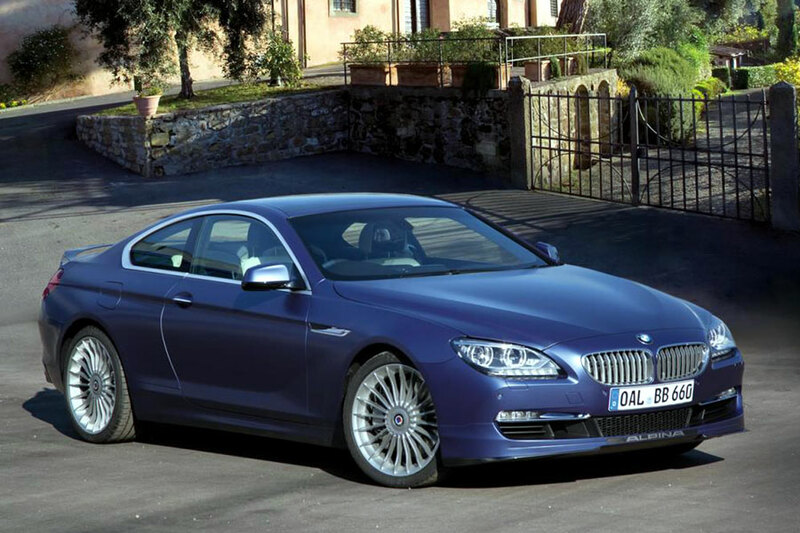 Buchloe-based company Alpina has revealed the Coupé version of its B6 Bi-turbo Convertible in Tokyo today. Powered by the same 4.4 L V8, but now producing more power than its rag-top counterpart originally did, Alpina fit specially designed MAHLE pistons, reworked turbochargers with larger diameter exhaust-turbines, and a pair of uprated water-to-air intercoolers, and an ultra-light titanium exhaust system by Akrapovic which results in a power figure of 397kW (540 hp) along with 700 Nm (516 lb-ft) of torque. Those numbers transfer to the road via an eight-speed automatic transmission which has been adapted by experts ZF. 100km/h (62 mph) appears in just 4.4 seconds, while top speed is 320 km/h (198 mph). The latest electronic suspension system features adjustable dampers and active roll stabilisation, offering four different settings depending on your environment, including Comfort+, Comfort, Sport and Sport+ modes. The high-performance brake kit uses 374 mm front discs and 345 mm rears. Visually, the B6 Bi-Turbo Coupé wears a lower front spoiler with integrated carbon fibre splitter, a rear valance – which encloses the new tailpipes – with a discreet diffuser, and a raised rear spoiler for the boot lid. The 20-inch alloy wheels are Alpina’s familiar Classic items, wrapped in 255/35 and 285/30 Michelin Pilot Super Sport tyres. Moving inside, Alpina adds illuminated sill plates, a Lavalina leather-trimmed steering wheel, an LCD information display panel and burl wood trim elements. 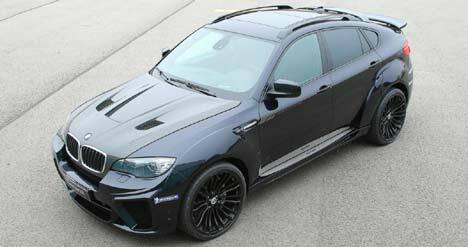 G-Power, the Bayern-based BMW tuning specialist, doesn’t do things by halves, as its latest program for the BMW X6 M verifies. The imposing SUV is already a formidable machine, powered by a bi-turbo 4.4 L V8 but, thanks to G-Power’s Bi-Tronik V3 performance kit and wide-body aero package, it become much hairier. 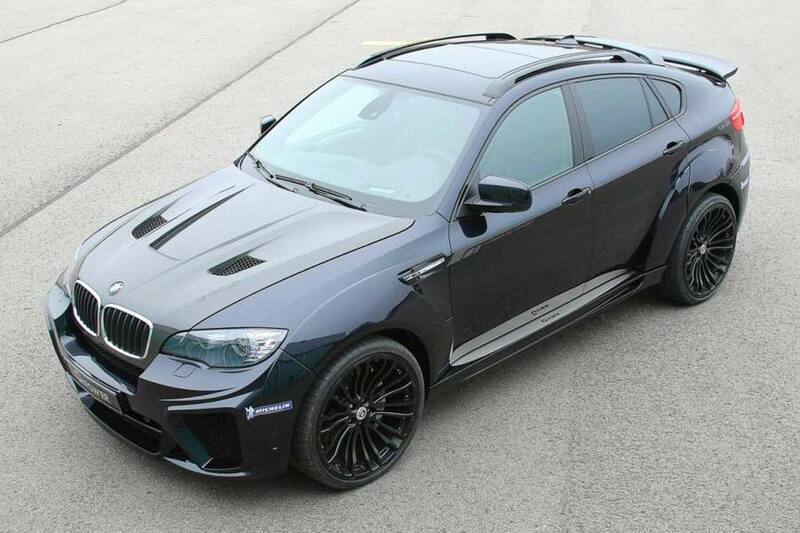 Visually, the high quality PU-RIM body kit (€ 13,361) consists of muscular flared wheel arch extensions that add 7 cm to the X6 M’s width, a front skirt with colossal air intakes, sill extensions, a high-level tailgate spoiler and lower multi-piece rear wing constructed from carbon fibre. Finally, there’s a rear skirt with an integrated diffuser which accommodates those twin 114 mm tailpipes. The carbon fibre vented hood is € 5.865 extra. G-Power offers a choice of wheels: the Silverstone RS and the Edition. Both are 23-inches in diameter and come wrapped in Michelin tyres at a price of € 8,865. Other chassis upgrades include a GX6M-RS coilover suspension kit for € 3,029 and an impressive ceramic braking system for € 26,240, which uses 396 mm front discs gripped by 6-piston calipers and 380 mm rears with 4-piston calipers. The Bi-Tronik V3 performance kit is priced at € 13,526 and includes a remapped ECU, stainless steel manifolds, exhaust system and high-flow sports cats. Those changes result in 533 kW (725 hp) and 890 Nm (656 lb-ft) of torque – a 125 kW (170 hp) and 210 Nm (155 lb-ft) improvement. Torque has been electrically limited in order to prolong the life of the reinforced automatic transmission. On the road, the Typhoon hits 100 km/h (62 mph) is just 4.2 seconds, while top speed is rated at over 300 km/h (186 mph). 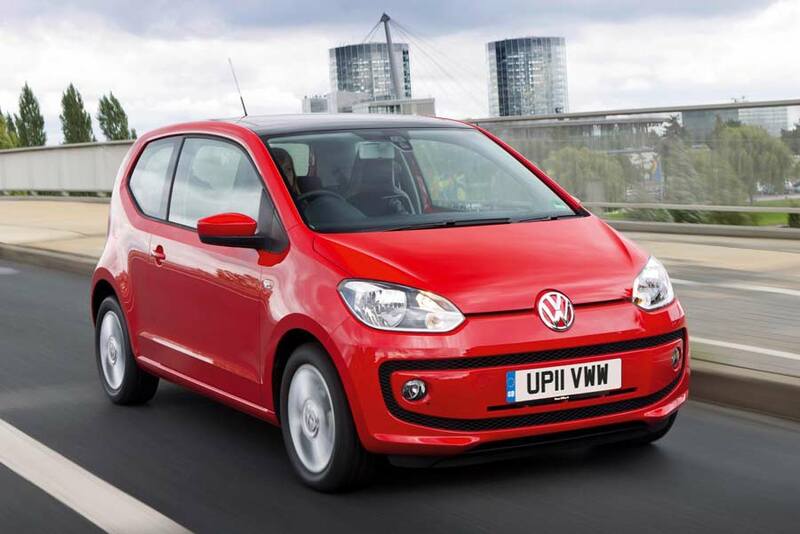 TopGear awards the Volkswagen up! TopGear magazine has announced the recipients of its 2011 Awards in its latest issue, and it’s good news for Volkswagen’s new up! model – even before it’s hit the showrooms. Initially powered by a new three-cylinder 1.0 L petrol unit in either 44 kw/60 hp or 55 kw/75 hp guise, a 50 kW/68 hp natural gas model will follow soon, with an electric version also in the pipeline. Volkswagen opened the up! order book last month, with prices starting at £7,995 (€ 9,309) for the 44 kw/60 hp Take up! model. Deliveries begin in March 2012. 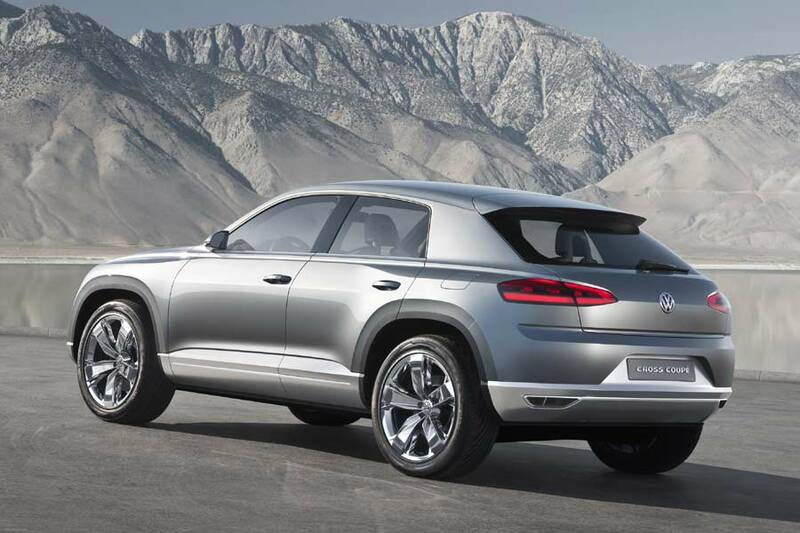 Volkswagen has unveiled its striking Cross Coupé concept ahead of its official début at next month’s Tokyo Motor Show. The plug-in hybrid SUV sits on the company’s brand new modular transverse matrix (MQB) platform and features a turbocharged TSI petrol engine under its hood that develops 110 kW (148 hp) and 210 Nm (155 lb-ft) of torque, along with an electric motor that produces 54 hp (40 kW) and 180 Nm (133 lb-ft). Thanks to its 9.8 kWh lithium-ion battery the Cross Coupé can cover a range of around 40 kilometres (25 miles) running on pure electric power. If the all-wheel-drive system is in use, a second motor generating 114 hp (85 kW) and 70 Nm (199 lb-ft) sends power to the rear axle. Dimensionally, the Cross Coupé sits perfectly between the Golf and Tiguan with a width of 1,868 mm and height of 1,523 mm, yet its 2,630 mm wheelbase is longer than both these models, providing extra stability on the road and more room for occupants inside. Looking like a tiguan on steroids, the Cross Coupé sits on 20-inch alloy wheels shrouded in purposeful fender flares, while its face is dominated by those twin bi-xenon headlamps which merge into the chrome-finned the radiator grille. The rear features a steeply raked window complimented by a roof spoiler, while further down there’s a pair of low profile rear light clusters and twin exhaust tailpipes integrated within the bumper.